It was raining when Zeb, Eider, and the humans left Monkey Mia in Shark Bay, Western Australia. 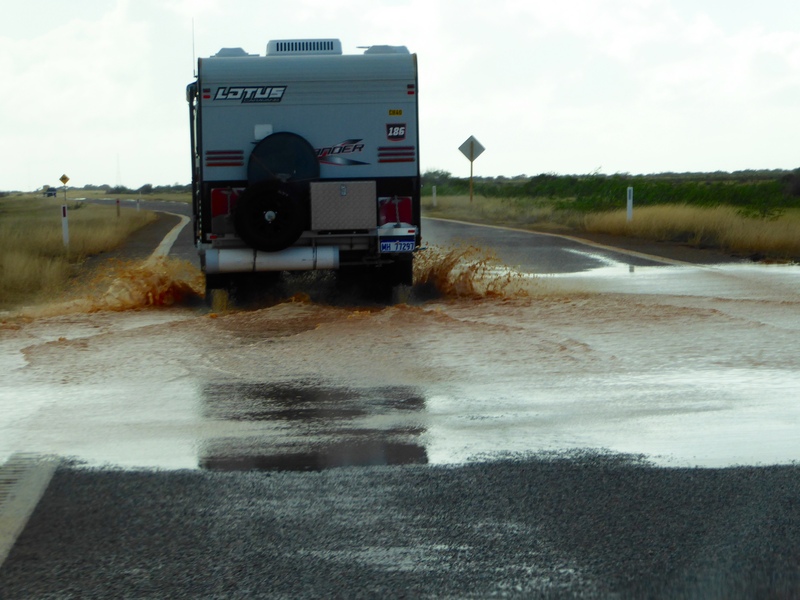 The road was flooded in places, but we were able to drive through. They drove through the water. So did we! 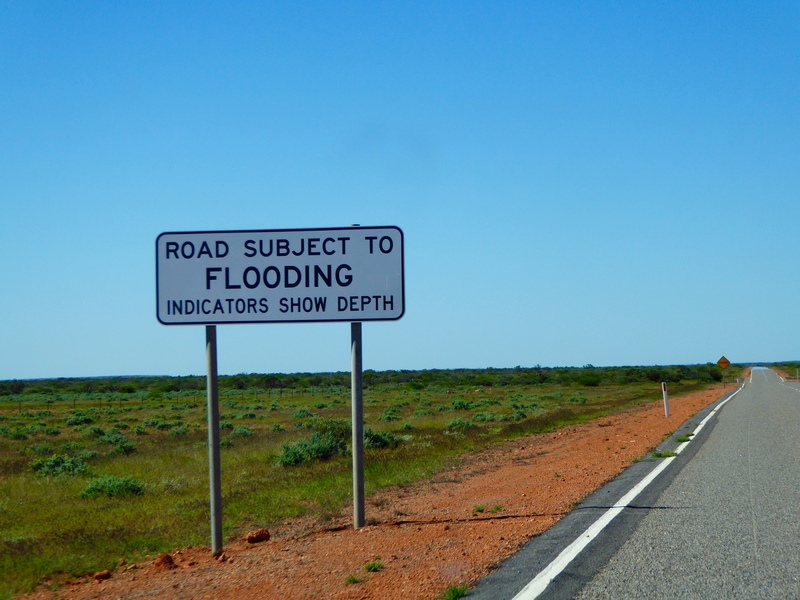 Apparently the roads flood a lot in the rainy season, and also in the drier winter. This was a common sign along the road. We are still driving north and decided to spend the night in Carnarvon. 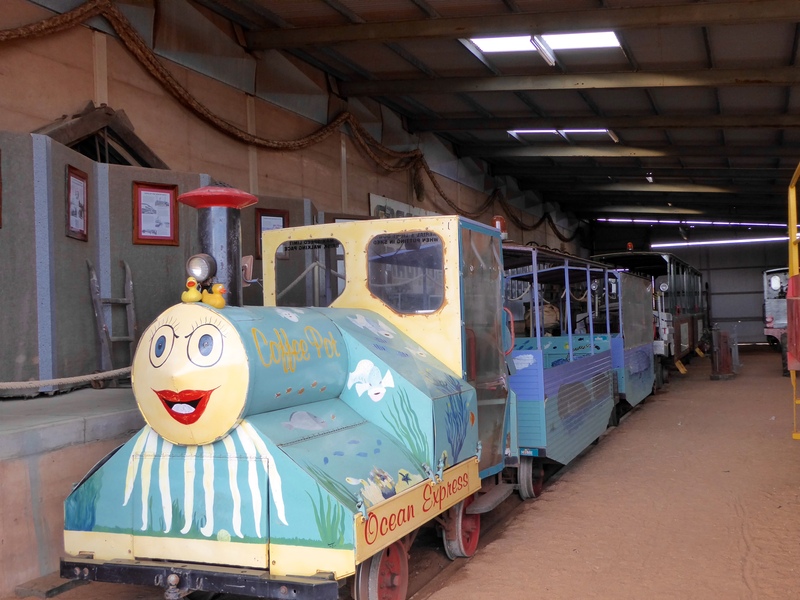 Carnarvon is famous for its great climate and banana plantations. Carnarvon is the commercial center for the rich Gascoyne district. 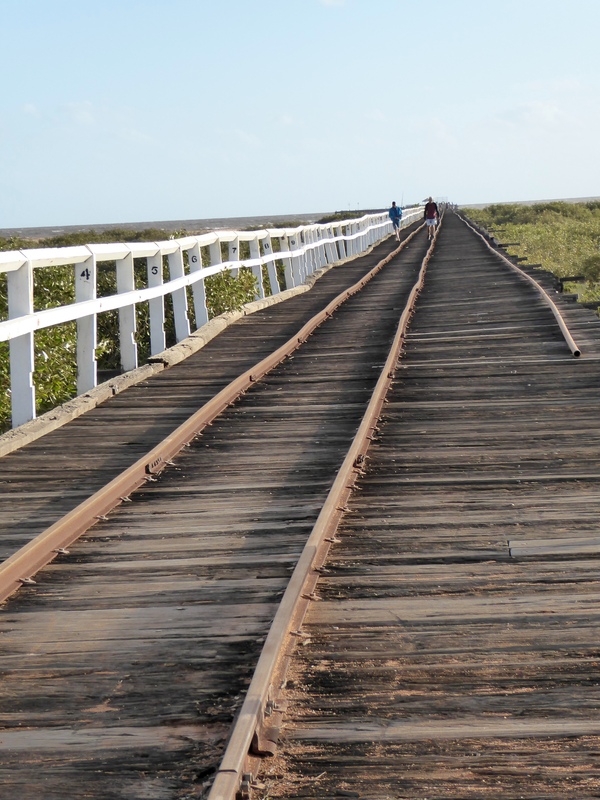 We went to the historic One Mile Jetty, built by Matthew Price in 1897. 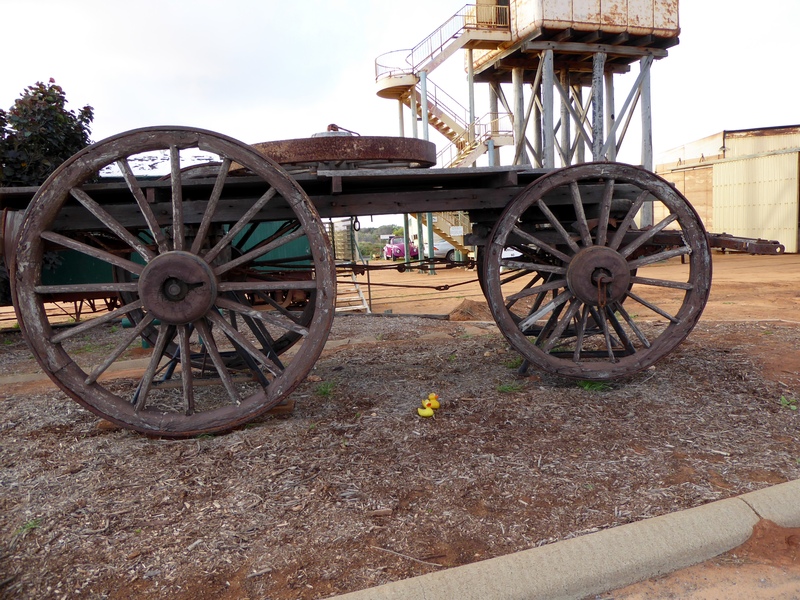 It was built to accommodate State Ships bringing supplies and passengers from Perth and allow the export of livestock and wool from the region. Today there is great fishing from the jetty. Nearby is the water tower lookout. 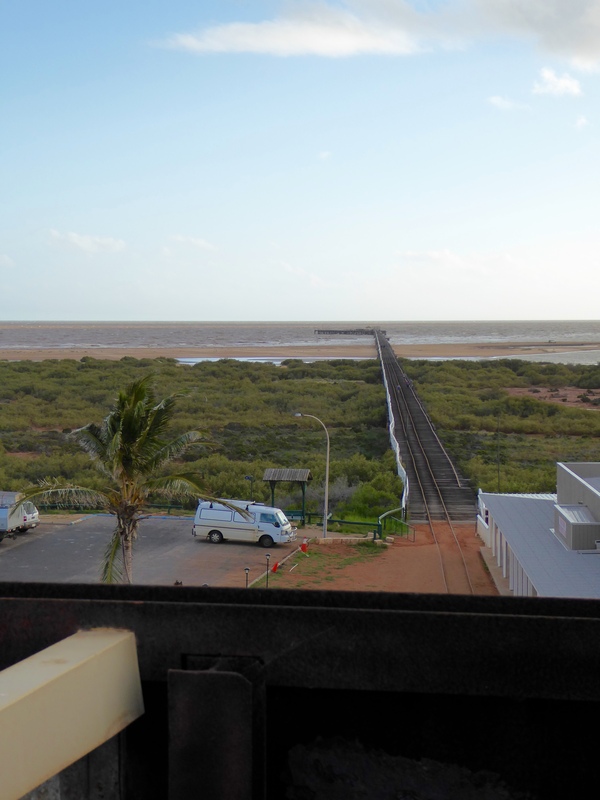 From this lookout we saw great views of the mouth of the mighty Gascoyne River. 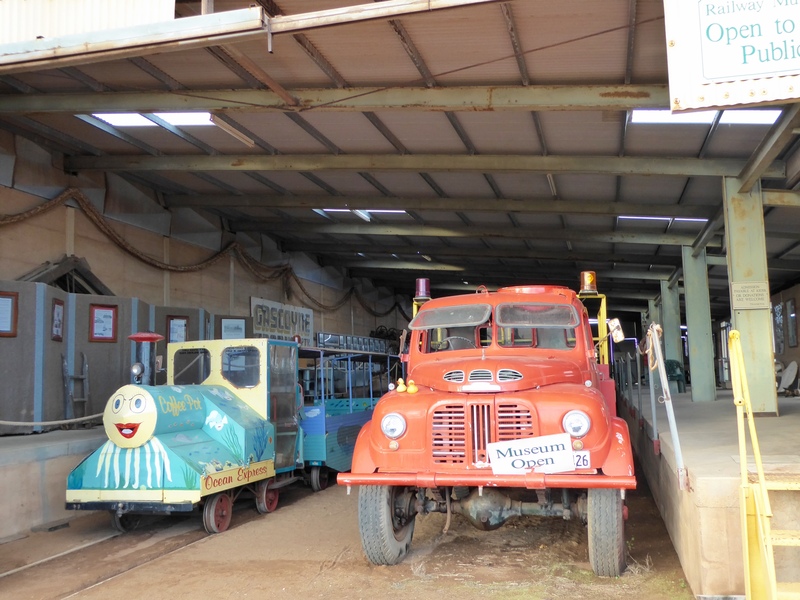 There is also a Railway Museum here. 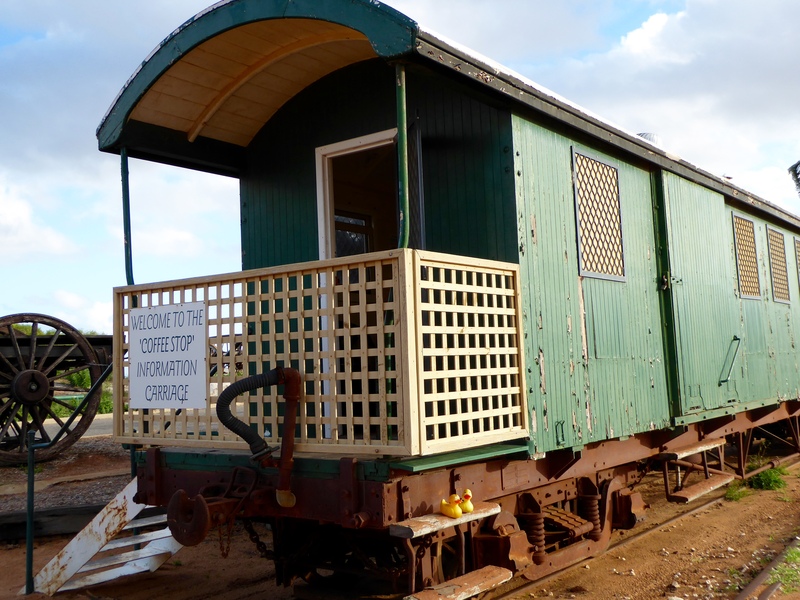 We liked this restored G-Class dropside railcar from 1884. This information carriage was not open when we were here. 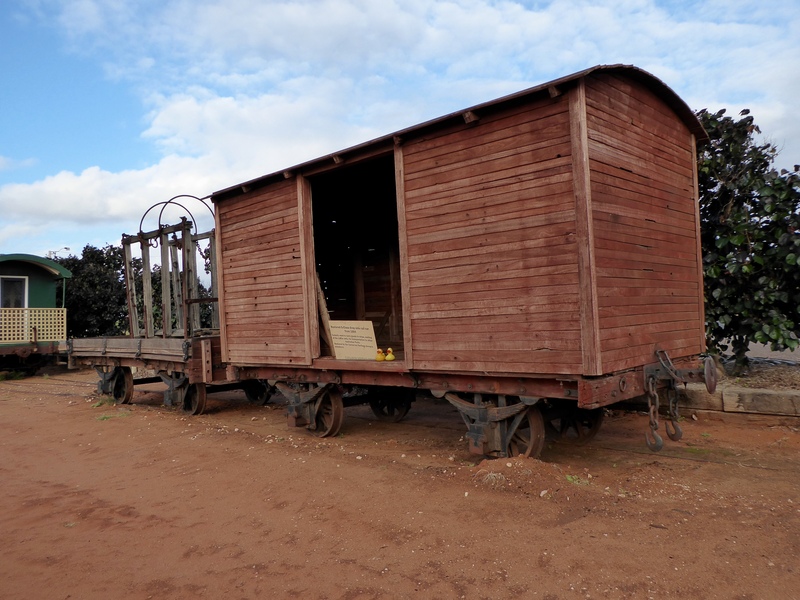 This wagon was much taller then Zeb and Eider. We especially liked this Coffee Pot train. We could not stay longer in Carnarvon, but it was a very nice and interesting town on the Indian Ocean. 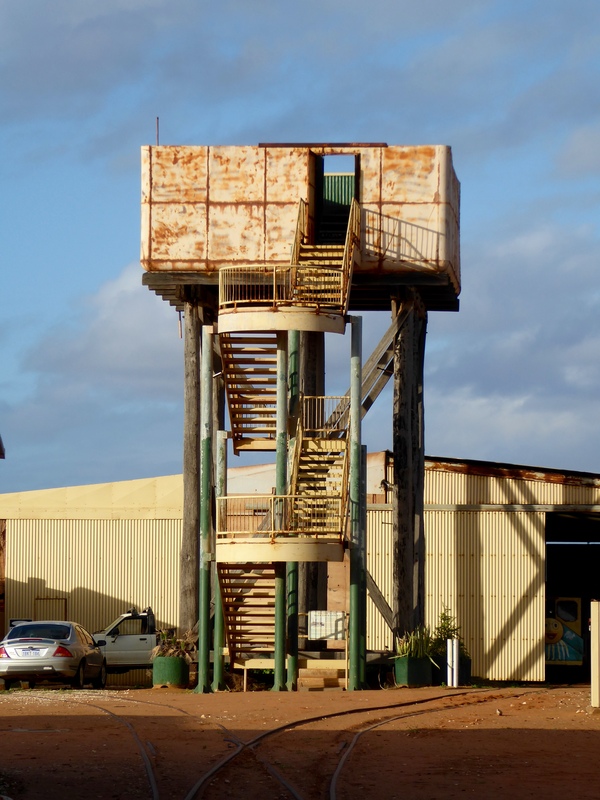 This entry was posted in Australia, Uncategorized, Western Australia and tagged Carnarvon, Colorado Traveling Ducks, Gascoyne River, Indian Ocean, One Mile Jetty, Railway Museum, Water tower lookout, Western Australia. Bookmark the permalink.